Created for cemetery memorials, these silk bouquets are designed with the "Stay-In-The-Vase® technology. NO MORE MISSING FLOWERS! 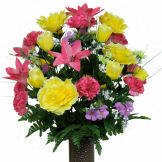 Simply place the flowers in your loved ones vase and they will be there when you return to visit. 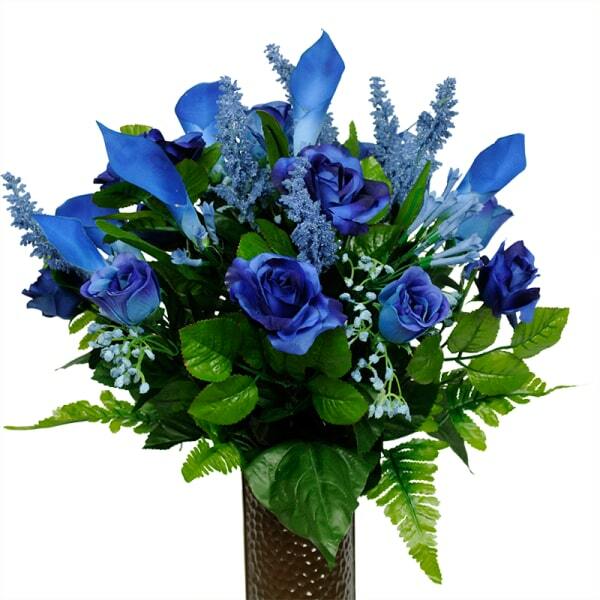 The Flowers For Cemeteries company prides itself in designing quality products that will certainly meet your expectations. 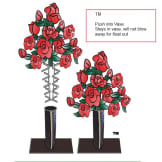 The arrangements are designed to withstand outdoor elements like sun, wind, rain, and snow. These silk flowers last much longer than real flowers so your loved one's graveside will look its best.